Starting a ketogenic diet? Heard about the keto flu? 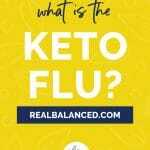 Read this post and learn all about what the keto flu is, the symptoms, remedies, and how to avoid it. YES, the keto flu is real and YES, it can completely knock you down on your path to ketosis. Luckily for us, there are plenty of solutions on the market to make your keto flu vanish as quickly as it hit you! For some, keto flu is unfortunately one of the negative side effects of transitioning to a ketogenic diet. With that being said, once you get through the “flu hump,” I promise you that the benefits of ketosis outweigh the negatives of the short bout of sickness and lethargy! 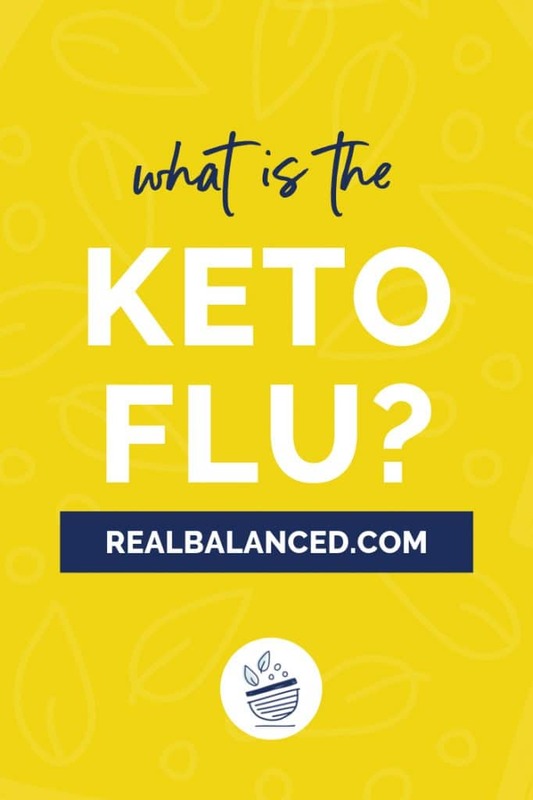 If you need more convincing, read more about what the keto flu is and how to overcome it below! For me, I only experienced a small bout of the keto flu as I transitioned from a paleo diet to a ketogenic diet, wherein my paleo diet lifestyle was lower in carbs than the Standard American Diet I had previously been following. Ryan, however, was pretty miserable for about two weeks. When Ryan started to reduce his carbohydrate consumption, he was, frankly, pretty crabby and VERY lethargic. When I told him I was writing this post and asked him what he remembered, he quite literally said, “I had no energy for anything and I wanted to punch anything that moved or talked to me.” LOL. So, yeah, some people’s experiences with the keto flu are much more severe than others’! Luckily though, these symptoms never last for very long, a couple weeks at max. Even better, there’s plenty of ways to try and beat these symptoms! How do I Avoid Keto Flu? Above all though, don’t rush the process and listen to your body and what it needs. If you don’t stay on top of your electrolytes, then you will definitely experience the symptoms of the horrible keto flu. To replenish your electrolytes, you can increase your salt intake, drink bone broth, or take magnesium supplements and eat foods high in potassium, such as avocado, tuna, and salmon. For potassium supplementation, I use potassium citrate in its powder form. I am very, very careful with supplementing with potassium as both too much and too little potassium is VERY dangerous. Please do not supplement potassium without first speaking with a medical professional. If your doctor recommends taking potassium, I think the powder form of potassium citrate is the most cost-effective, as taking the capsules is pretty minimal in terms of how much potassium you’re actually getting. I use a food scale and weigh out the powder and, like I said before, I never, ever exceed the accepted daily value. Some indications that you may be low in potassium is muscle cramps, poor sleep, and a racing heart. Magnesium is an essential to our bodies’ ability to function. It’s a mineral that keeps our bones strong, blood pressure normal, heart rhythm steady, and helps us sleep. For me, magnesium supplementation has been a key component of my ketogenic diet journey. I take Triple Calm Magnesium every single day and, since I began taking it, my sleep has never, ever been better. Ryan, who doesn’t like supplements much, is also a firm believer in magnesium supplementation and, he too, takes Triple Calm Magnesium everyday. A key component to every aspect of our body’s ability to function, sodium is essential, especially when following a low-carb diet. When reducing carbohydrate consumption, our bodies lose sodium at a much quicker rate, mostly through urine and sweat, thereby leading our bodies to then quickly lose magnesium, potassium, and other major minerals. While some argue that salt consumption should remain as minimal as possible, I have found that adding salt to all of my food and, depending on my exercise for that day, salting my water. This added sodium intake helps to retain some water, thereby retaining electrolytes. If, for example, I attend a hot yoga class and sweat (a LOT), I would drink salt water throughout the day to ensure I keep my electrolytes levels up. We like and use Redmond Real Salt, which we purchase from Amazon. Staying hydrated is KEY due to the rapid water loss that our bodies go through when transitioning to a ketogenic diet. When you stay hydrated, you’re lessening the likelihood of getting a headache, being tired, or experiencing nausea. Plus, it’s just common sense! Sleep is crucial for our well-being and is especially important what transitioning to a ketogenic diet. Your body is, quite literally, from one fuel source to another and you WILL be tired, lethargic, and probably a little cranky. Trust the process and get some much-needed rest. Go to bed earlier, invest in items that improve sleep, like a good mattress and black-out curtains, and recharge your batteries. 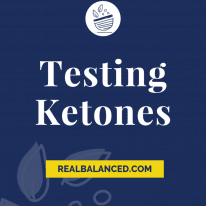 For me, supplementing with exogenous ketones has been beneficial and it’s something that I’ve done since I began following a ketogenic diet. So, before we get into this, please know that I FULLY understand and respect that not everyone will agree with this, but I want to do my best to tell you all what I personally do and what has worked for me. Now that we have that out of the way, ONWARD! Exogenous ketones are ketones that come from outside the body, as opposed to endogenous ketones, which the body produces naturally. Exogenous ketones work to increase the ketone levels in your body, thus giving you more energy, among other benefits! 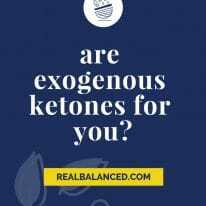 You can read more about what exogenous ketones are and if they are for you here. Probably one of the more popular options is the powdered forms of Exogenous Ketone Base. Them being in powder form makes it super easy to add into recipes, coffees, and more! 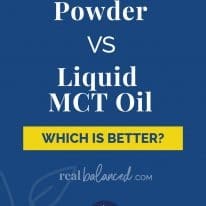 I suggest using a blender bottle (I purchased mine on Amazon) or something similar so the powder easily incorporates with the liquid. If you’re curious about exogenous ketones, my preferred brand is Perfect Keto. You can use code “REALBALANCED” on all of your Perfect Keto purchases for 15% off your order! Like any other diet, life is much easier if you plan your meals. Incorporating fiber-rich vegetables into your diet will decrease your likelihood of experiencing stomach pains (also know as GI backup). Having a plan of action so you stay on track with your goals is key. Don’t let the keto flu turn you off from living your best life in ketosis. Your symptoms can be minimized if some of the common mistakes mentioned above are addressed. Avoid listening to the small voice in your head that might be telling you that you’re not cut out for the low-carb diet. Stick with it! You can do it, and Real Balanced is here to help! 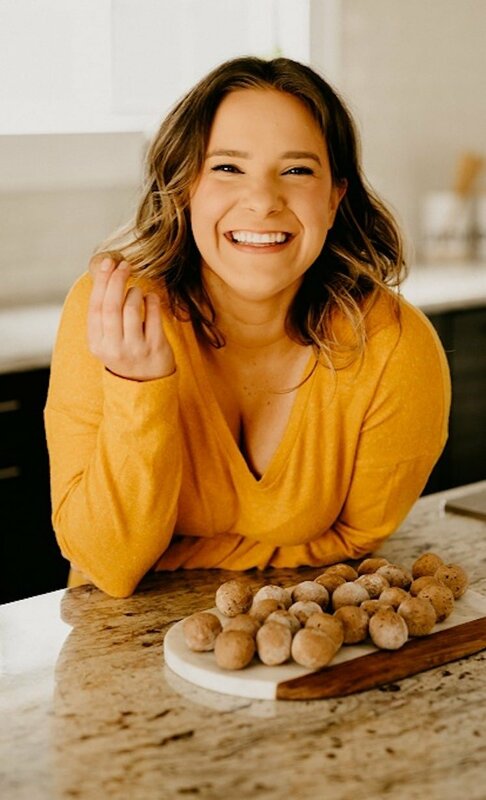 If you have any questions during the beginning stages of your keto diet, feel free to comment below and I will do my best to help you out! Good luck! Wow I am so blessed to have stumbled upon this blog. I have been praying to God to help me in my weightloss journey and I have to praise him that this is an answered prayer. I have discovered in one website that popular restaurants in US do low carb. Is it good to eat out? Hi, Pati! So happy to have you here! Yes, you can absolutely eat out when following a low-carb, ketogenic diet! Do note that eating at home will give you more control over ingredients and knowing exactly what you’re eating, but I think it’s totally fine to eat out on occasion! Take a look at this blog post about eating out on a keto diet. I think it will be helpful for you!